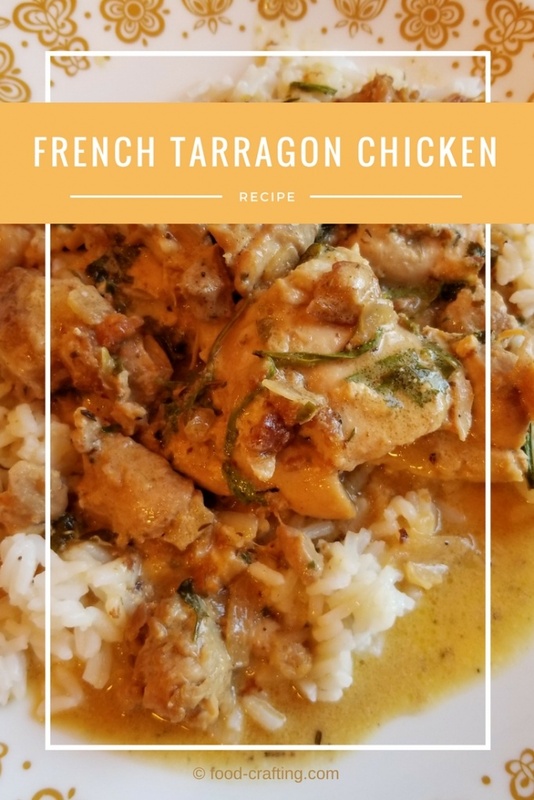 French Tarragon Chicken Recipe – With a beautiful big bunch of fresh French tarragon left in the herb keeper, I made a quick change to the “Sunday dinner with Mom” menu – boneless chicken instead of roast pork. Shallots are a required ingredient but garlic is optional. To add another layer of flavor, instead of plain Dijon mustard, use Maille® with Tarragon!. It tastes fabulous in turkey sandwiches! If you have an upscale market in your neighborhood, buy French crème fraîche épaisse to prepare the sauce. Thanks to its high fat content ( a minimum of 30%), it is perfect when going for silky smoothness – and flavor – in the sauce. Sour cream has a lower fat content and is well… slightly sour. Perfect example of what not to do in a shallow pan! Dry chicken pieces on paper towels. Season with salt and pepper. Over medium high heat, add olive oil and butter to a large frying pan or a large sauteuse. Sauté all chicken pieces removing to a platter as they turn a light golden color. Set aside. Boneless pieces tend to stick to the pan but the bits will be a great addition to the pan juices. Lower the temperature under the pan. Add the chopped shallots along with the chives and some parsley. 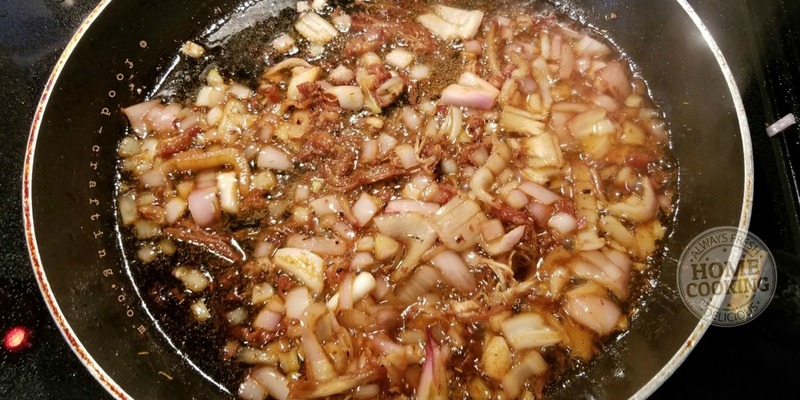 Sauté until the shallot takes on some color and becomes slightly translucent. Add both the sherry and red wine vinegars. Stir to remove little bits stuck to the frying pan then add some of the broth. Stir to combine, add the rest of the broth and the white wine. Carefully place the chicken pieces in the liquid so that all pieces are semi submerged. Turn chicken over about half way through the twenty minutes so they cook evenly and sprinkle with chopped or stripped tarragon leaves. Once cooked through and just before serving, remove the chicken pieces from the pan to make it easier to stir in the mustard/cream mixture into the braising liquid. Stir in cream and mustard mixture. Adjust seasonings. Carefully place the chicken pieces back into what is now a cream sauce. Coat evenly. Serve over plain buttered rice with a side salad of mixed greens in a mustard vinaigrette. Please note that I adjusted the original recipe ingredients to accommodate a strict diet. This can easily be a 30 minute meal! Mine had to cook a little longer (40 minutes) because I left the thighs whole instead of cubing them into large chunks. My excuse? No sharp knife in Mom’s kitchen and it is much easier to cut into chicken breasts than uneven thighs. I used Mom’s only large frying pan! 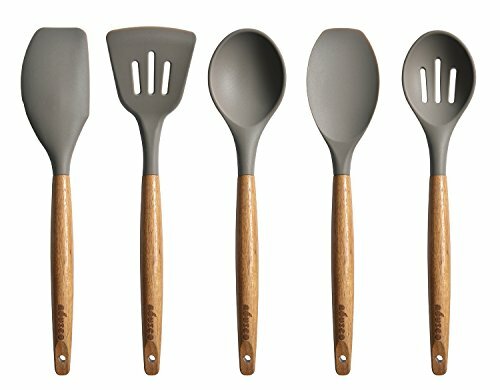 I decided not to travel with my personal kitchen tools on Sunday. From experience, it would make it much easier to prepare this type of recipe in a something a little deeper than a regular frying pan. 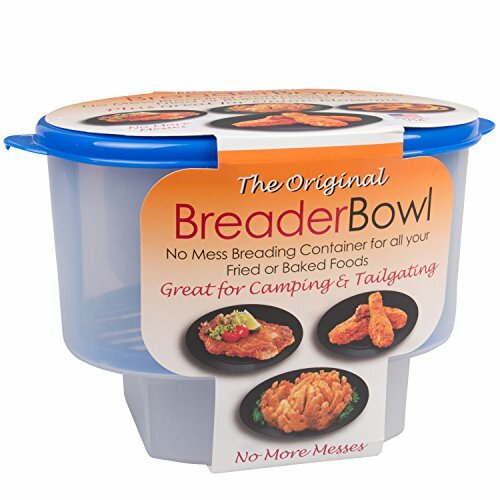 Have a lid handy to prevent too much evaporation during the cooking process. 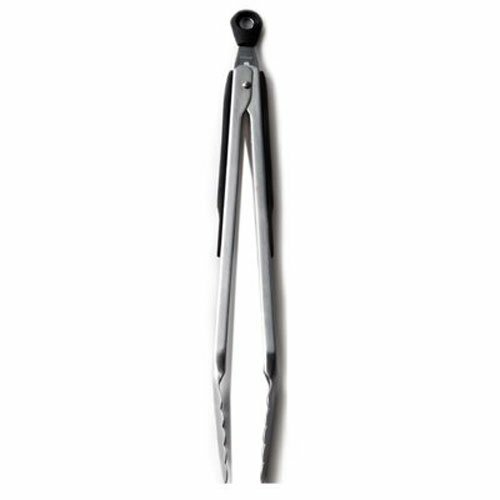 Silicone kitchen spoons and silicone tipped tongs are super! No worries about scratching the pan. Update(5/4/2018): Recipe With All The Calories! The recipe was so easy to prepare a couple weeks ago that I prepared it again for a quick but special birthday dinner on Tuesday. This meal was not destined for Mom’s stringent diet so I decided to blow everyone’s diet. My verdict? Rich, super tasty and a really quick one pan meal. The review below was written by a real foodie – one who’s sampled and reviewed menu offerings at some of the best restaurants from Washington D.C. to the Big Apple and beyond. This chicken dish with tarragon is a delight for a family meal. The chicken’s savory sauce served with rice will have you wanting to lick the plate clean when no one is looking! A distinct and slightly tangy flavor might remind you of curry but with a less earthy flavor. 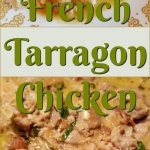 Herbaceous and flavorful, French Tarragon Chicken will delight your whole family. You’ll have to make more just to handle requests for seconds or thirds! Although the chicken pictured in the image does not look as sautéed as in the top recipe, the instructions were followed to the letter with a few exceptions. I used 5 to 6 ounces of white wine instead of 8 ounces of chicken broth. The wine was added to the pan as in the instructions above. Added 2 teaspoons of chicken base to the wine/shallot mixture and stirred well to combine. It may sound like very little liquid to braise the chicken but it turned out to be the perfect amount. Added the chicken pieces back to the Dutch oven, stirring to make sure the shallots were evenly distributed and covered with pan lid. Simmered, covered, for 30 minutes. Complete the recipe as above, using the crème fraîche instead of the sour cream. 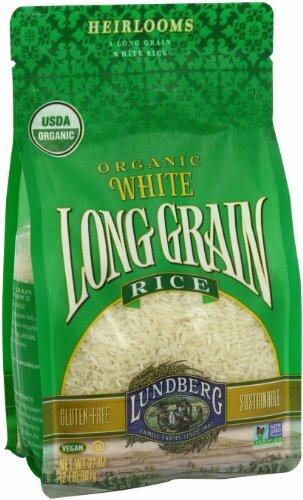 Buy Uncle Ben’s® Jasmine rice, make an easy vinaigrette in the bottom of a salad bowl, add a large diced hothouse tomato and top with a bag of baby lettuces. Voilà! Dinner is ready. 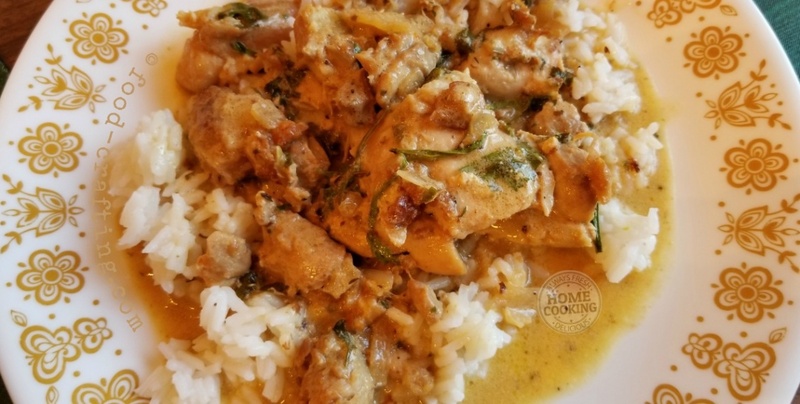 With a busy day in store, instead of a tender juicy pork roast with roasted fingerlings and steamed vegetables so I opted of a quick and easy tarragon chicken recipe over buttered rice. The menu included a salad of mixed baby greens with a mustard vinaigrette. As quick and easy as this recipe is to prepare, I will say up front that I adjusted the ingredients to accommodate Mom’s restricted diet. 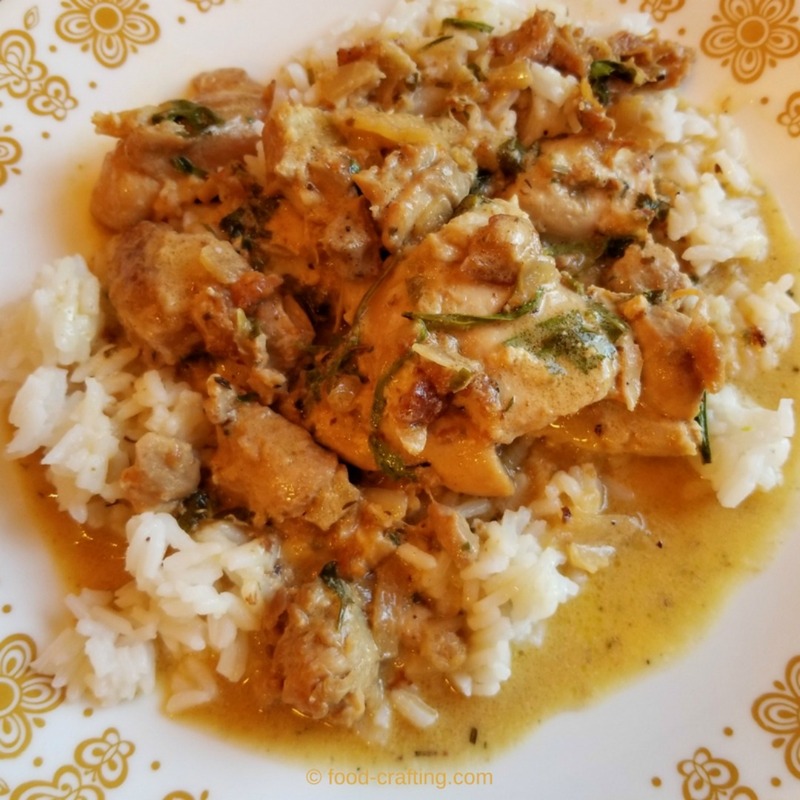 In its closest to “authentic” form, this dish is prepared with chunks of boneless and skinless chicken breasts but I have come across recipe variations where all chicken pieces were used. Skin on! Personally, I believe that the skin imparts great flavor to any chicken dish so being as I never leave well enough alone… I would not have any second thoughts about using skin-on chicken breasts, thighs and drumsticks. 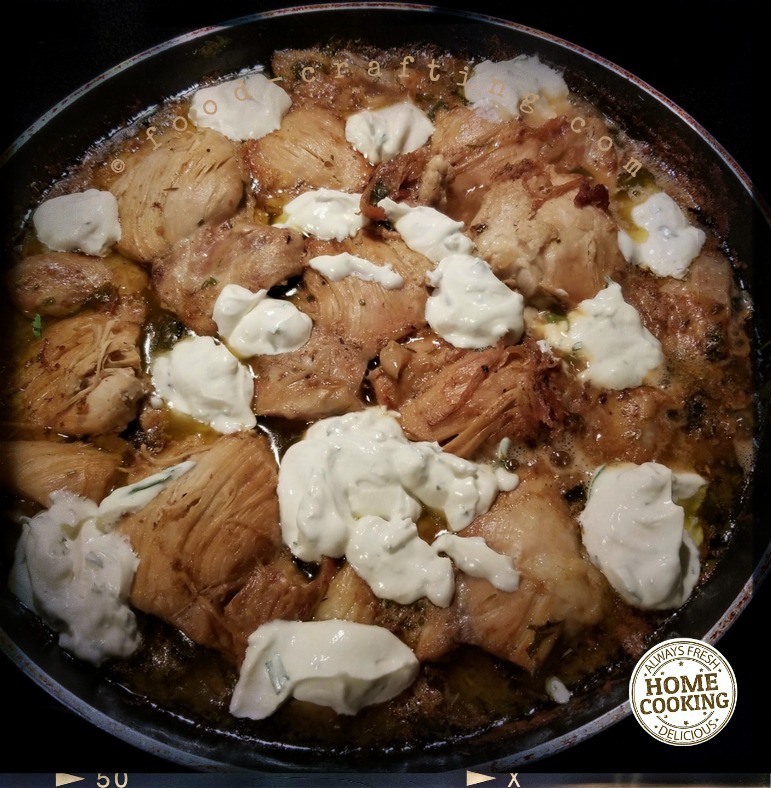 For this recipe, I purchased a family pack of boneless and skinless chicken thighs. Why? Because Mom prefers dark meat and boneless makes it easier for her to eat unassisted. Peripheral neuropathy is awful! Grocery shopping on a Sunday afternoon leaves a lot to be desired. Choices were limited at the local supermarket. The pack of whole organic cut chicken pieces was considerably more expensive than the skinless thighs. So I made an executive decision. At first, I thought I would use white wine as the braising liquid instead of rich chicken broth – maybe even organic bone broth which was lower in sodium than even “low sodium” broth! A combination of white wine and chicken broth is totally acceptable and that is what I opted for. Creme Fraiche – 2 pack/8 oz.ea I used light sour cream for Mom’s special diet. A crème fraiche and a Béchamel type egg based sauce is more appropriate to achieve a very thick, rich and creamy coating for the chicken pieces. My sauce was “light” by comparison but very tasty nonetheless. 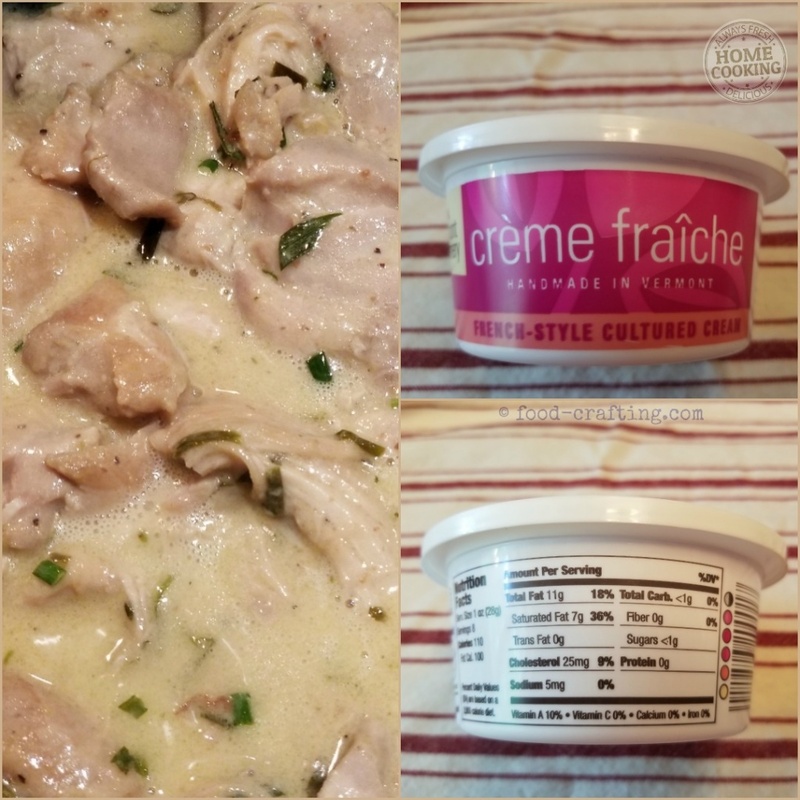 We are lucky enough to find Vermont made Crème Fraîche at our local Wegmans® or Harris Teeter® markets. But if you can’t find any to buy locally, make your own with this starter culture! At Wegman’s®, the cream is found with other imported creams and butters in the cold case across from the Cheese shop. At Harris Teeter®, I found in the case with all imported cheeses and specialty items. Is Sherry vinegar not a pantry staple? Buy a bottle of sherry cooking wine. 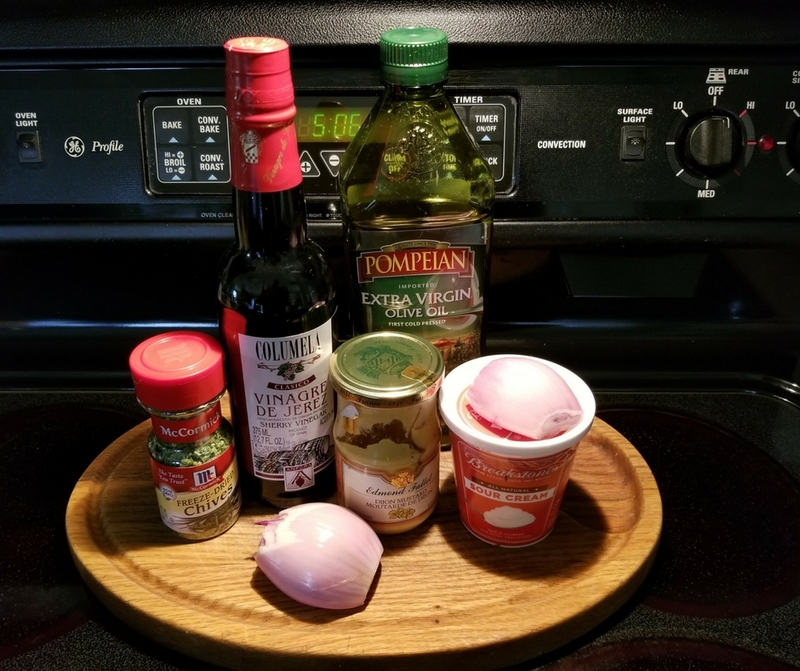 You will use the cooking wine faster than the vinegar. Shallots are a required ingredient but garlic is optional. To add another layer of flavor, instead of plain Dijon mustard, use Maille® with Tarragon!. It tastes fabulous in turkey sandwiches! 5 Update(5/4/2018): Recipe With All The Calories! 8 Chicken Breasts Or Thighs? 14 Update(5/4/2018): Recipe With All The Calories! 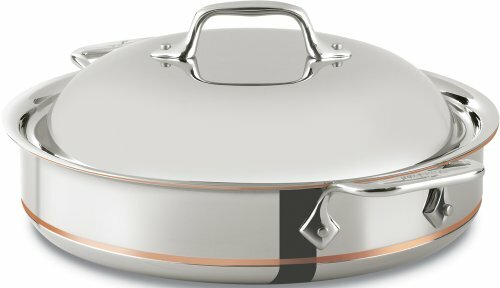 Metric Kitchen Gadgets	Perfect For International Recipes! Farmers Market Chicken Salad: Margaret’s Popular Recipe Hometown Folks Still Talk About Today! 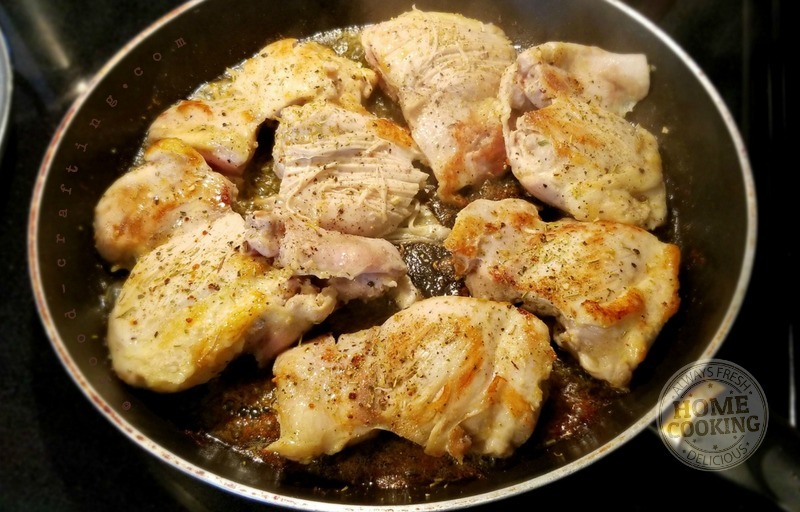 Easy Skillet Chicken Recipe: Best You’ll Ever Eat!